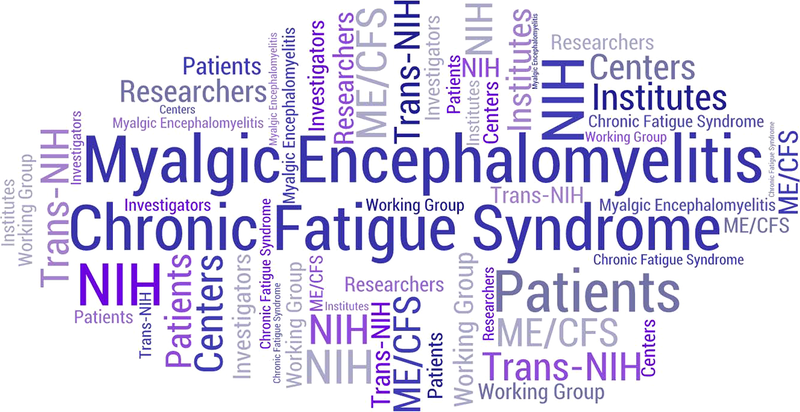 Myalgic Encephalomyelitis/Chronic Fatigue Syndrome(ME/CFS) is a disorder defined by a cluster of symptoms without a known medical cause. This cluster of symptoms always includes fatigue and exercise intolerance, but may also include digestive abnormalities, sleep problems, and pain. As of 2015, it was believed that between 836,00-2.5 million people suffer from ME/CFS. Unfortunately, there is no cure for the disorder, and useful treatments are few and far between. Pharmaceutical intervention are going to be hard to come by, as the disorder affects so many systems that single-mechanism interventions are unlikely to make a dent. However, I’ve come across some very interesting research that hints at the absorption of a bacterial component called lipopolysaccharide(LPS) as being a pretty important factor in ME/CFS. The idea came to me after seeing someone with ME/CFS getting some pretty remarkable results in my Stop Leaky Gut Challenge, which aims to minimize LPS absorption as it disturbs metabolic function and impairs multiple systems. I’m nowhere near the first person to believe that LPS absorption is a problem for people with ME/CFS. A study in 2007 found that patients with ME/CFS had higher levels of serum IgA against LPS from bacteria in the gut due to “leaky gut”. Another study found that normalization of the IgA and IgM immune response to LPS predicted better outcomes via the intake of natural anti-inflammatory substances and a diet meant to repair “leaky gut”. So how does increased absorption of LPS lead to the pathology indicative of ME/CFS? Essentially, high level of LPS induce a metabolic shift throughout the body that impairs muscle function, leading to exercise intolerance. Additionally, it can also lead to non-alcoholic fatty liver disease and an increased risk of autoimmune disease. Oddly enough, the way it seems to work is not unlike how chronic inflammation leads down the road to accelerated aging. But how does it do this? Exercise intolerance isn’t solely in the realm of ME/CFS. In fact, as we get older, there is a gradual intolerance to exercise, particularly in the frail elderly. In mice, you can induce exercise intolerance via a high fat, high sucrose diet quite like the one most Americans eat. The same diet, in humans, increases the absorption of LPS, also called endotoxin, and impairs metabolism. In the mouse model, the Western diet induces exercise intolerance by increased activity of an enzyme called CD38, which is highly expressed cells of the immune system. In mice, genetically removing CD38 prevents the exercise intolerance induced by the Western diet. CD38 is an enzyme upregulated in inflammatory conditions, and LPS has been shown to upregulate gene expression of CD38 over 100-fold in macrophages. This explains the pain and systemic immune activation, but how does this affect exercise intolerance? CD38 is an NAD+ consuming enzyme. NAD+ is used as a coenzyme to generate energy from glucose. Decreasing NAD+ impairs our ability to fully use glucose as energy, and as we get older, NAD+ levels decline and this decline is driven by increased CD38 activity. The age-related metabolic dysfunction caused by decreasing NAD+ levels leads to an inability to fully process glucose as an energy source. This same process plays out in ME/CFS, where glucose is processed in the cytosol of cells, converted to lactate and sent out of the cell, and never enters the mitochondria where most of our energy is generated. In aging mice, this dysfunction can be corrected by inhibiting CD38. When we look at the cells of the immune system that express CD38, we find macrophages and B-lymphocytes as the immune cells carrying the most CD38 clout. Depletion of B-lymphocytes has been shown to be effective for ME/CFS, with studies showing 2/3 of ME/CFS patients showing clinical improvement with rituximab, which depletes B-lymphocytes. In my opinion, taking medicine to destroy immune cells seems a pretty drastic approach, but that’s easy for me to say. I’m sure people with ME/CFS would jump at the opportunity to feel better and have more energy. However, there may be another option, albeit a touch more difficult, but with far fewer side effects. It didn’t just strike me out of nowhere to dig in to this relationship between LPS and ME/CFS. Round 1 of my Stop Leaky Gut Challenge just happened to have a person with ME/CFS who had amazing results doing the program. It just so happens that the program is tailored around minimizing LPS absorption from the gut. It’s probably important to point out before I go over her progress that leaky gut isn’t the only way to increase the amount of LPS that enters your blood. Reducing LPS absorption also isn’t the only way to minimize the effects of LPS in your body either. That being said, addressing all variables that minimize LPS absorption and its impact completely changed this woman’s life. Now, I have to admit that this is nowhere near a normal response. She as well as I credit the program for doing this, but the woman we are dealing with is very Type A, and she followed the program like her life depended on it. She is also a member of my Circadian Retraining Program, so she understood the importance of what she was doing and how it was going to improve her health. Interestingly, she wasn’t doing exercise at the time other than yoga, and going from 85 to 73bpm in just under 3 weeks doesn’t happen without cardiovascular exercise. She is currently hovering at an RHR of 64bpm after the full 3 weeks of the challenge. Her ME/CFS was attributed to mitochondrial dysfunction induced by fluoroquinolone antibiotics. While many think this is pretty much as life sentence, it’s not, as her case clearly shows. In reality she’s not breathing in more oxygen, there was more than likely adequate oxygen in her blood. The problem was that oxygen wasn’t getting in to tissues, and if it was, there was no mitochondria to make energy using it. This sent a low oxygen signal that elevated her heart rate, even though she wasn’t exercising and in need of more oxygen. She simply needed to correct the metabolic block in her mitochondria. There’s still more work to do, but after being formerly bed-ridden and 75lbs, she is well on her way. Even now that she feels mostly “normal”, it’s important to build resilience so that this doesn’t happen again. While her trigger may have been fluorquinolone-induced leaky gut due to microbial dysbiosis, it’s not the only trigger to increased LPS absorption. There’s actually quite a good reason why all of this happens. Fighting off pathogens is a very energy demanding task, so when we experience an infection, resources need to be shifted away from other energy demanding processes. Movement also happens to be very energy intensive, so when we become sick, we enter a hypometabolic state. This is why when we’re sick we tend to not want to do anything. So we lay down in a dark room and rest, because that allows the immune system to do its job. A study published last month did a fantastic job of characterizing this. In the study, they found that infusing LPS in to mice was the most efficient way to induce this hypometabolic state. In mice infused with LPS, oxygen consumption declined between 35-52%. Energy was diverted away from walking, resting metabolic rate and temperature regulation to the immune system to help promote tolerance. But therein lies the rub; tolerance simply means the body is adapting to the stress, not that it’s actively fighting it off. It’s a strategy to promote survival, not remove the infection. Goosing this along by actively decreasing metabolism through intermittent fasting or cold thermogenesis promoted tolerance, but it didn’t correct the problem. In the person from the challenge, she addressed the source of the problem, and with that, removed the problem altogether. This allowed her to come out of her hypometabolic state and feel like she was breathing more oxygen. If I were to guess, NAD+ consumption by CD38 expressing cells of the immune system probably plays a major role here. But there are likely other metabolic signals that reinforce the hypometabolic state. There is sufficient evidence to implicate increased LPS absorption in to the bloodstream as a cause of the metabolic impairment that leads to ME/CFS. Furthermore, since this same effect is seen during the aging process, one can make the case that ME/CFS is a condition of accelerated aging, at least with regard to metabolism and exercise intolerance. Many factors go in to how LPS gets in to the bloodstream and messes with human metabolism. In addition to decreasing LPS absorption, one can minimize the effects of LPS through lifestyle modification. Increased LPS levels in the blood are found in numerous chronic diseases including Type 2 diabetes and obesity. While the Western diet is certainly no help, other factors including physical activity, circadian rhythms, and stress management also go a long way in correcting the metabolic dysfunction that comes with ME/CFS. But it’s important to throw everything you can at it, half measures won’t work. How can I join the group ? Hey Dr. Ansart, the post was private until today, information can be found within the blog that you can now access.